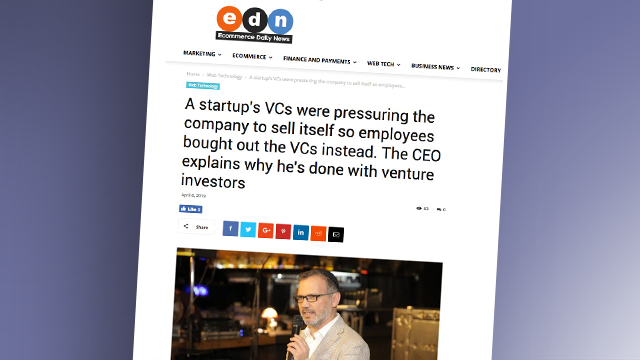 A startup's VCs were pressuring the company to sell itself so employees bought out the VCs instead. The CEO explains why he's done with venture investors. The VC model is "very time driven," [CEO Yaacov] Cohen said. "I think in today's environment, it's not the right model. Having the management buying the company creates commitment from employees within the company where we are really dedicated to what the customers are doing." A startup's VCs were pressuring the company to sell itself so employees bought out the VCs instead. The CEO explains why he's done with venture investors. After years of investing in harmon.ie, VCs started pushing the company to find an acquirer and sell itself. Instead, the harmon.ie leadership rewrote its story and bought out the VCs.